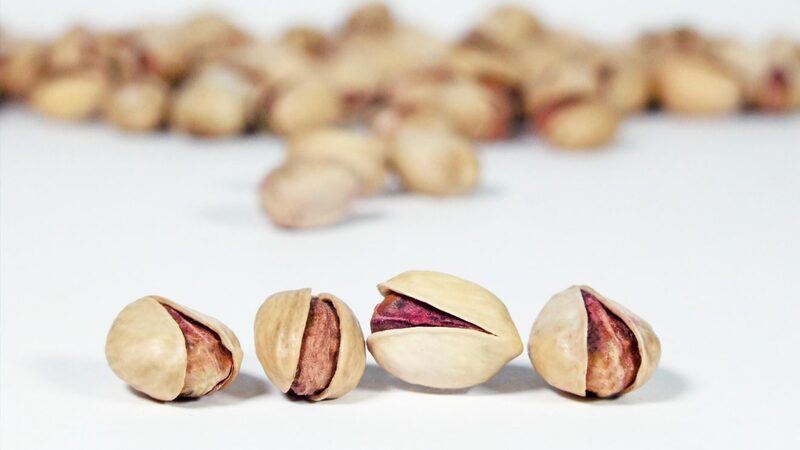 This pistachio is larger than Fandoghi (round) variety and blossoms early. Its trees are very sensitive to cold weather. 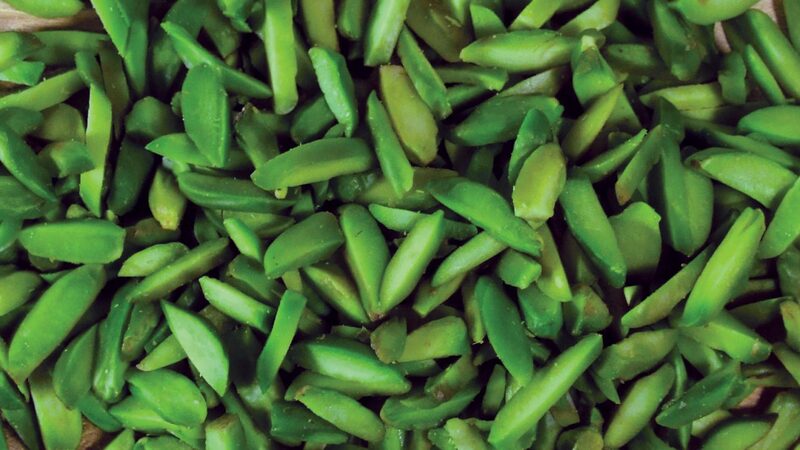 Kalleh Gouchi pistachios are normally harvested in mid September. 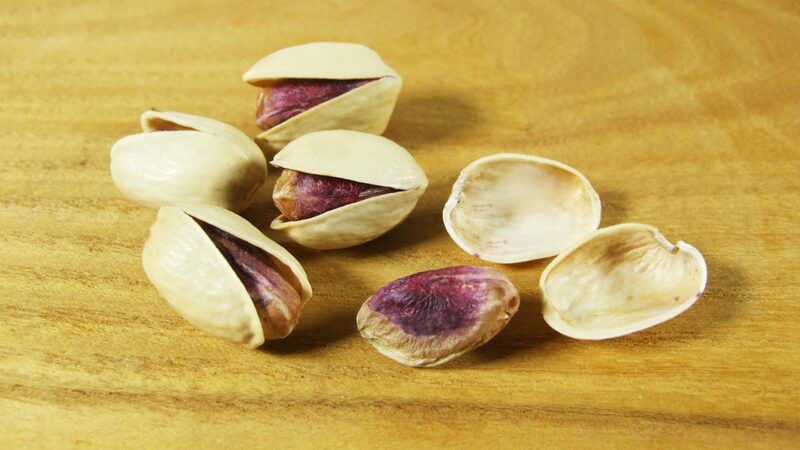 This pistachio is very popular in Asia in general and in India in particular. It also is used extensively in some parts of the Europe. Ahmad Aghaee pistachios are normally harvested around late September. 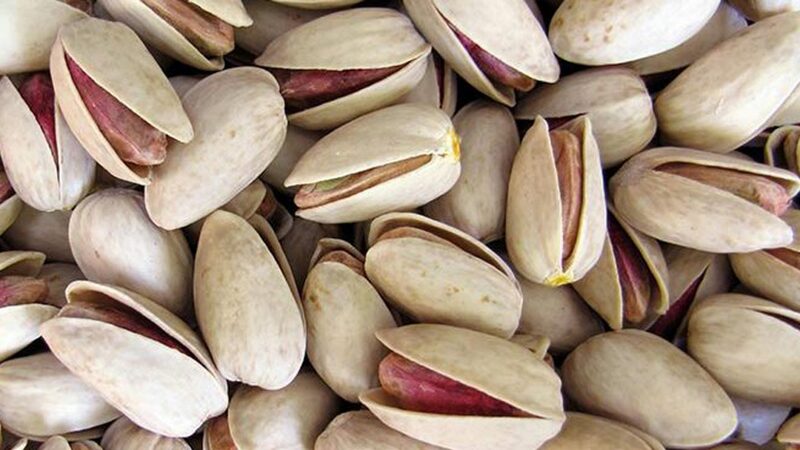 This product is second to Ahmad Aghaee pistachio in terms of length. 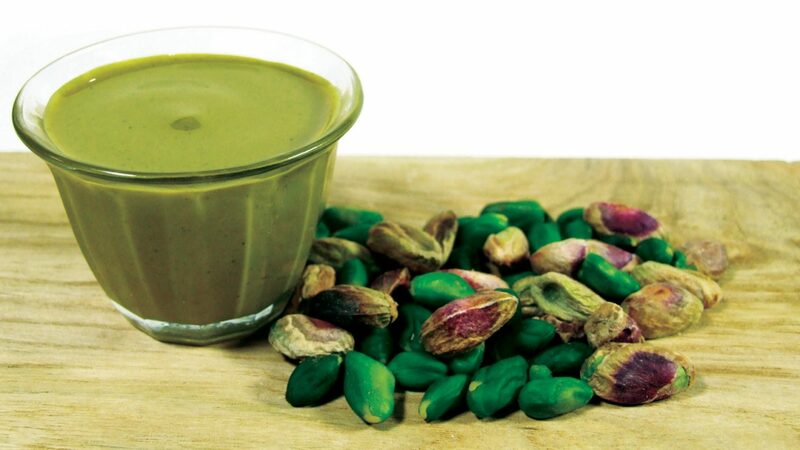 Badami pistachio resembles Almond in appearances but has a much better taste and flavor. 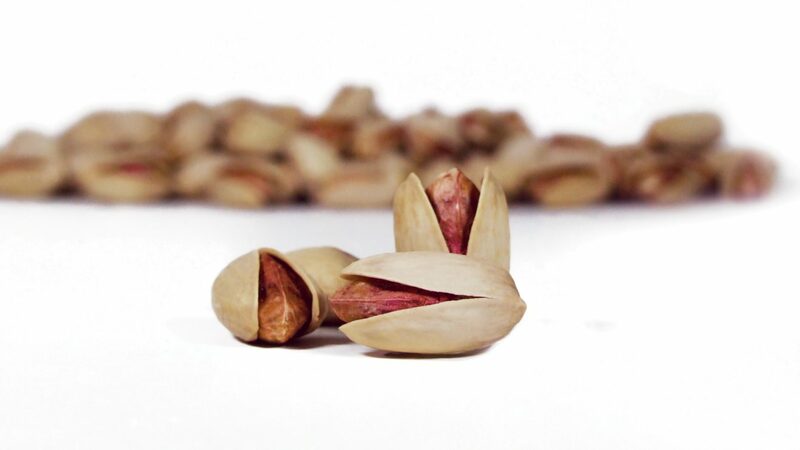 This product is the most commonly grown and recognized pistachio wherever you go. 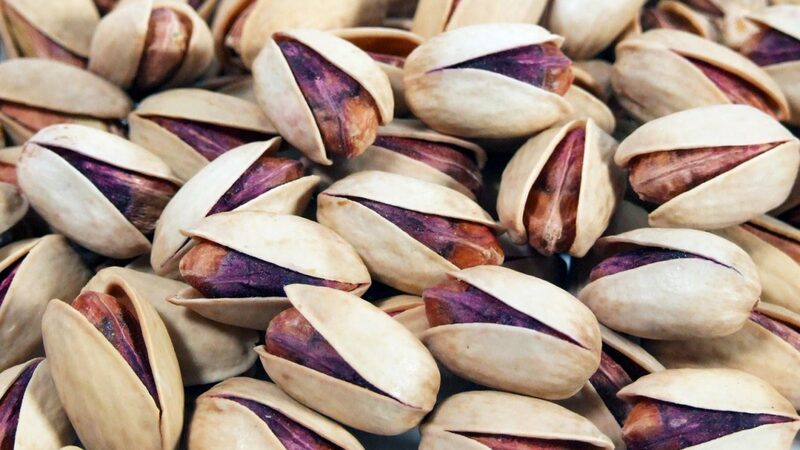 Around 50% of the Iranian pistachios are Fandoghi. Available sizes: 28-30, 30-32, 32-34. 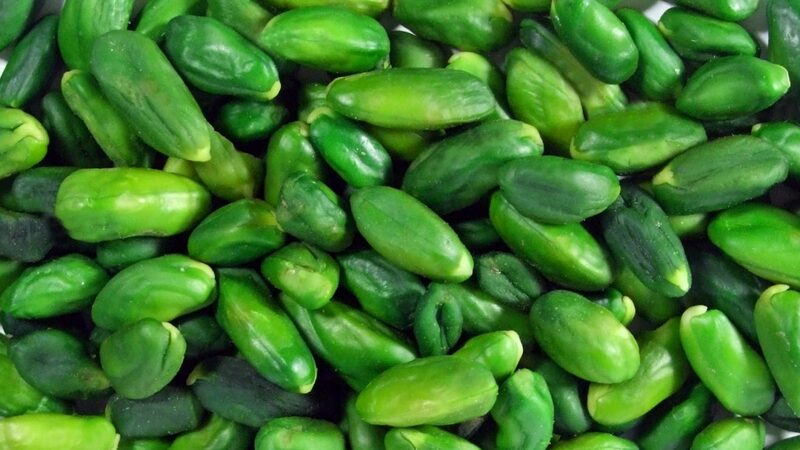 Due to early harvesting, this product is relatively raw but looks much greener than ripe pistachio. It also is quite more expensive.